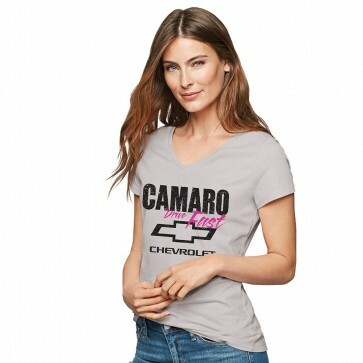 Keep it casual in this V-neck tee printed with distressed Camaro Drive Fast and Chevrolet logos. Double-needle hem sleeves and bottom. 100% cotton. Imported.